Several organizations that work with Toronto's homeless population are warning the city's new shelter plan, which includes creating three new respite sites this winter, is flawed. David Reycraft, the director of housing services at Dixon Hall, said while the city desperately needs more shelter spaces, the temporary facilities are a short-term solution that won't break the cycle of homelessness. "There's a need for a new response to homelessness in the city," Reycraft told CBC Radio's Metro Morning. Reycraft and others working with those struggling to find shelter say the city needs to move — and move fast — on a number of fronts including building more supportive and affordable housing, protecting the low-income rental market and tacling the underlying causes of poverty. Toronto's shelter system continues to operate well beyond the 90 per cent capacity target set by councillors, and city data shows a system bursting at the seams. Last week, family shelters were 100 per cent full, while both women's and men shelter's were 98 per cent full. There's also concern that pressure could increase. On Monday, the city nixed plans to buy a financially-troubled hotel in North York that's currently housing around 500 homeless people and asylum seekers. With the deal scrapped, the city is risking a private developer snapping up the Toronto Plaza Hotel and forcing those staying there into the shelter system. Last Friday, Paul Raftis, manager of the city's shelter, support and housing division, unveiled plans to improve Toronto's shelter network by adding three new emergency sites to accommodate an anticipated spike in demand during the cold winter months. The new prefabricated structures will run 24-hour operations starting in December, and altogether will house up to 280 people. 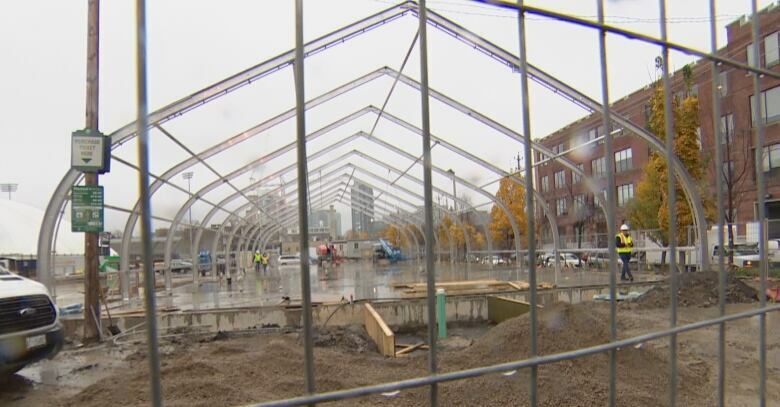 Until they're ready, the city has set up 200 temporary beds at the Exhibition Place grounds which will open Thursday among nine other respite centres. But Reycraft said the city should also be establishing permanent supportive housing options, as well. "We need affordable housing in our city. We need new supportive units to support the men and women who are the most vulnerable in the city," said Reycraft, of Dixon Hall, an organization that supports Toronto's 16 Out of the Cold programs. Brian Harris, program director at St. Felix Centre, a charitable organization that will run one of the new respite sites behind Lamport Stadium, says it's not a good thing the city needs to rely on respite sites. 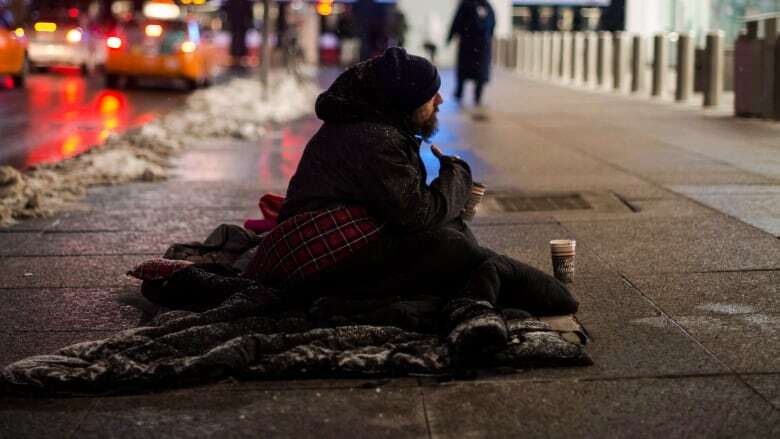 "Poverty is a real issue across the city," he told CBC Toronto on Friday, adding that in the meantime Torontonians still need a safe place to go so they're not dying in the streets. Toronto's shelter crisis hit a breaking point last winter when homeless advocates sounded the alarm about people being turned away from some facilities. These claims prompted the city's ombudsman to probe the city's handling of the crisis. In a report released last March, Susan Opler found city officials provided "outdated, inaccurate and inconsistent" information about the capacity at an emergency respite centre. Rafi Aaron, a spokesperson for the Interfaith Coalition to Fight Homelessness, believes the city "didn't have a choice" in opening more emergency space this year. 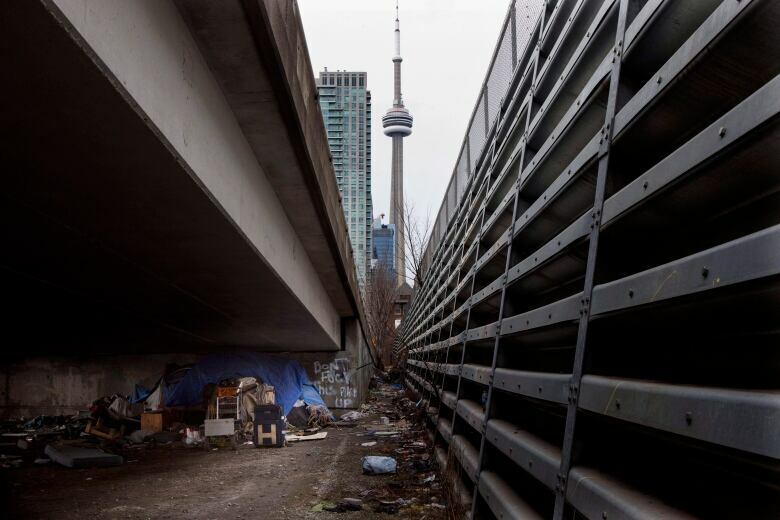 Last winter, the city failed to provide enough support he said, and that problem was compounded by a wave of new immigrants and refugees coming to Toronto. "The shelter system has been crumbling for the last decade and it imploded," Aaron said. "We couldn't endure what happened last year." Close to 100 homeless people died in Toronto in 2017, according to Toronto Public Health — a rate of nearly two deaths per week. Aaron added that the shelter crisis is not isolated to the winter months. "Homelessness is 365 days of the year." Aaron is adamant that supportive housing is the key to creating a more permanent solution for the homeless — especially during the winter. 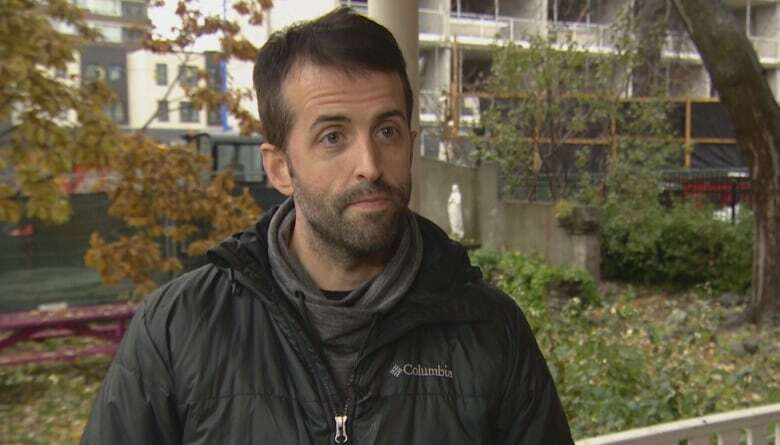 Aaron is looking to city hall to take concrete action to combat what he says is a "new stream of homeless people" from entering the shelter system. "The city has failed to protect the low-income rental," he said. "There's been gentrification of neighbourhoods and things like rooming houses are disappearing. People are often paying more than 30 per cent of their salary to rent and anyone who is precariously housed is going to lose their housing." As Toronto's real estate and rental prices continue to soar, more are looking for affordable places to stay. However, there are some 96,000 households currently lined up for social housing, according to the latest city numbers, while new subsidized housing is also difficult to come by. The city has been slow to build new affordable housing in recent years, and has also been criticized for how it advertises the units it does finish. Last month, Mayor John Tory laid out a three-point plan to tackle Toronto's affordable housing crunch, after campaigning on the promise of building 40,000 new affordable housing units over the next 12 years. But those housing units are years from being on the market, and Aaron says people are already scrambling to find shelter right now. "We're certainly bracing for what could be one of our busiest seasons ever," he said, adding the city should reconsider waiting until December to open its respite sites. "I would have said launch all of the domes earlier so that there isn't confusion among the guests and clients about where they need to go and how they can get there," he said.